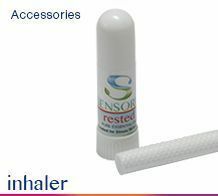 Take Sensoria with you with our convenient and easy to use inhalers. Just add whatever Sensoria essential oil blend you need to bring relief to your condition. A few drops lasts a long time. Our pocket and purse size inhalers are the perfect solution for anyone who is on the go or travels.